Life is what you make of it! Disney Lover. Runner 13.1. Music, Movies & Crochet. Online Health & Fitness Coach. I’ve registered for my races and I’ve finally decided on my hotel. Planning for my big 2014 WDW Race-cation in November is officially in full swing. And I’m really starting to get excited!! Running the Wine & Dine Half to get my Coast to Coast in 2014 has ALWAYS been my plan. Running this race AND having an awesome vacation in Walt Disney World has ALWAYS been my plan. This has been my plan since I first started running in 2011 while training for my first half marathon (first half marathon being the 2012 Inaugural Tinker Bell Half). I was fortunate enough to go to WDW twice in my youth with my family. Now returning to WDW nearly 20 years later as an adult to run and have an awesome race-cation is a huge thing for me, especially since I’ll be earning my Coast to Coast medal as it will be my first. WDW trips and earning multiple Coast to Coast’s aren’t in my budget and those who are able to do so, I think that’s great. I’m glad that I’ll finally be able to join the ranks of the coveted Coast to Coast. 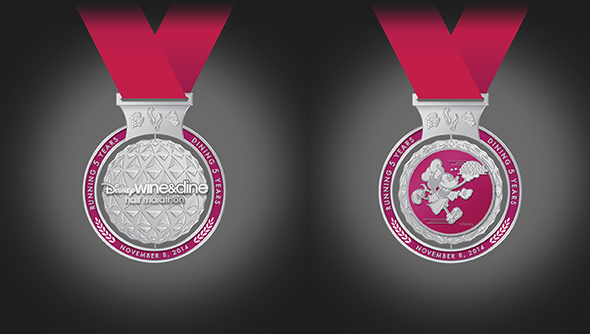 The 2014 W&D Half Marathon medal that I’ll be earning. 5th Anniversary edition. It’s a spinner! I will be able to do a day at Universal Studios as well. 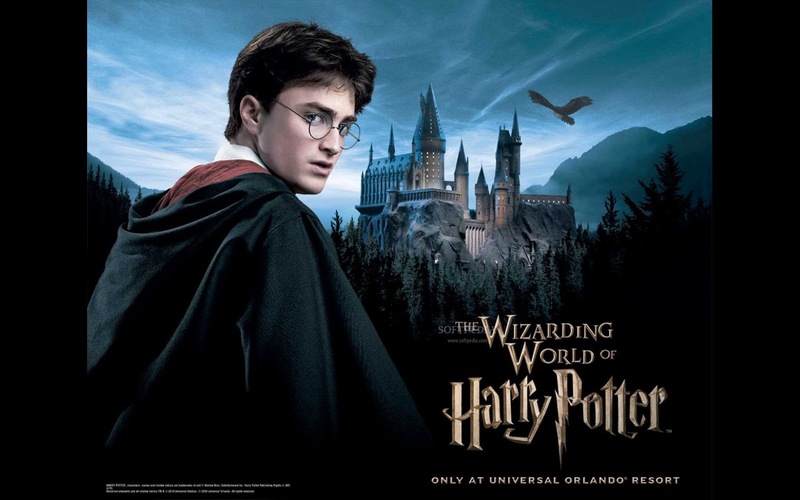 I can’t pass up going to The Wizarding World of Harry Potter! I GET TO DRINK BUTTERBEER AND BUY MYSELF A WAND AT OLLIVANDERS!! HELLLOOOOOOOO!! And I just read that the Hogwarts Express will be completed this Summer so I’ll be able to go from Hogsmeade and Diagon Valley via the Hogswart Express. UMM HELLO!! For Magic Kingdom: I haven’t eaten there for dinner, but the lunch menu at Be Our Guest is good, and I’ve heard from friends that the dinner is also great. When I was there for lunch last, you ordered your food, and then are given a “magic” rose and find your own table, and the food is delivered to you. Reservations recommended. Plus you get a meet & greet with the Beast for dinner. 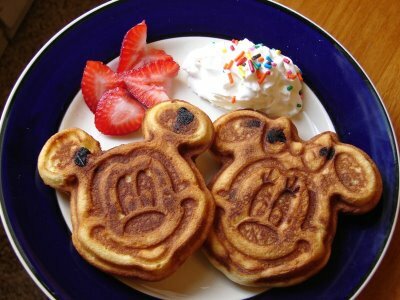 Hollywood Studios – Starring Rolls for a quick breakfast snack – big muffins, bagels, pastries, etc. Epcot – The Land pavilion – Seasons has some nice choices and most of the veggies served are grown on property – . I’m also partial to the gelato in France and Les Halles Boulangerie for quick service sandwiches and desserts. Animal Kingdom – Yak & Yeti quick service counter has good fried rice, and Restaurantasaurus is the typical burgers and such, but the toppings bar is decent and you fill your own drinks, so you can get refills while you’re there.